Why should I select healthcare providers from your practices? We know you have a choice in healthcare providers and we respect that choice. Pascack Valley Medical Group is a multi-location, multi-specialty practice where healthcare professionals work together to help you get well and stay well. We are growing and plan to add more providers and locations to meet your healthcare needs. We look forward to meeting you and exceeding your expectations. Are your providers accepting new patients? It varies by provider and specialty. We offer flexible scheduling with regular evening and Saturday hours. We offer same day appointments for urgent problems with designated providers, if your own primary care provider is not available. Remember that our providers and offices are connected through a secure electronic health records system. That means your medical history, medications, allergies, and other important information is available to any of our providers at your appointment. In addition to Medicare, we accept a wide range of insurance plans. Click here to see our list. You can request a referral at any appointment or call: 201.666.3900. It takes 3-5 days to process a referral. Your referral sheet will be mailed to you unless otherwise requested. How can I get prior authorization for my medication? Due to the great number of requests, we are unable to make individual phone calls to a patient’s insurance company to obtain prior authorization for medication. Please contact your insurance carrier and ask them to fax the prior authorization form to our office at: 201.261.0505. We will complete the form and fax it back to your insurance carrier. My healthcare provider will not renew my medication because I haven’t been seen within the last 3 months. Why is that? Standard protocols for prescribing medications dictate that patients who are on continuing medications must be seen and monitored at least every three months. If your medication renewal has been denied because you have not been seen recently by a healthcare provider, we may renew your prescription for a short amount of time needed to allow you to have an appointment. If I see one provider in the group, will another provider, such as a specialist, have access to my medical records? 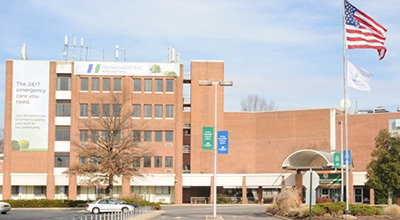 Pascack Valley Medical Group uses a sophisticated and secure system of electronic health records. All healthcare providers in the system have access to patient records at any time. Patients can access their information through our secure Patient Portal 24 hours a day. Can I see more than one provider on the same day? The only insurance plan that will allow a patient to see more than one provider on the same day is Medicare. All other insurance carriers and plans prohibit the practice of seeing multiple doctors on the same day. I had my blood work done several weeks ago and haven’t heard the results. Why is that? Due to the heavy number of lab tests, our medical staff calls patients with their laboratory results only in the event of abnormal findings. We do not call with normal results. All lab results are available on the secure Patient Portal. All patients are encouraged to take advantage of this secure method for viewing their medical information from any computer.